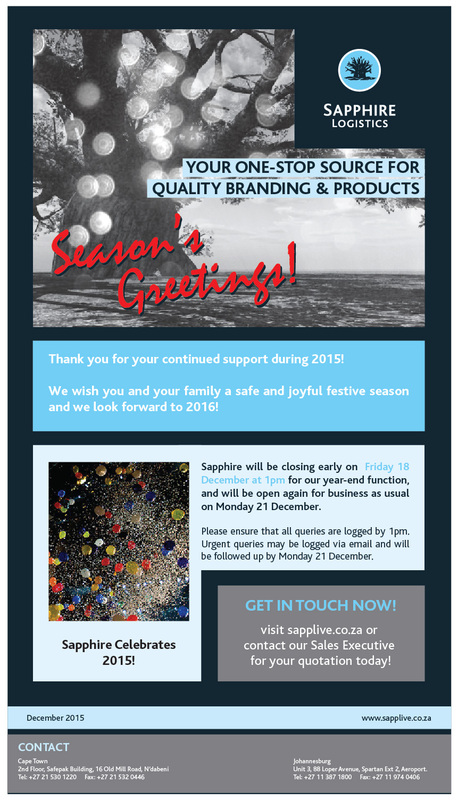 Sapphire will be closed from 1pm on Friday 18 December for our year-end function. However, we will be open again on Monday 21 December for business as usual. Please ensure that all queries are logged by 1pm. Urgent queries may be logged via email and will be followed up by Monday 21 December. Next post: Mini MP3 Special!